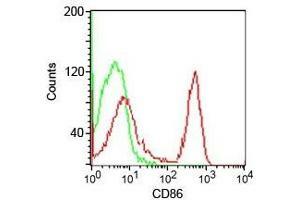 Flow cytometry testing of human PBMC using CD86 antibody (clone CDLA86). 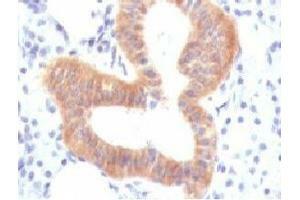 IHC testing of FFPE human melanoma with CD86 antibody (clone CDLA86). 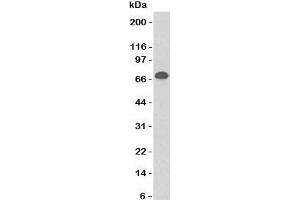 Western blot testing of Daudi cell lysate using CD86 antibody (clone CDLA86). Observed molecular weight: 38~70 kDa depending on glycosylation level. 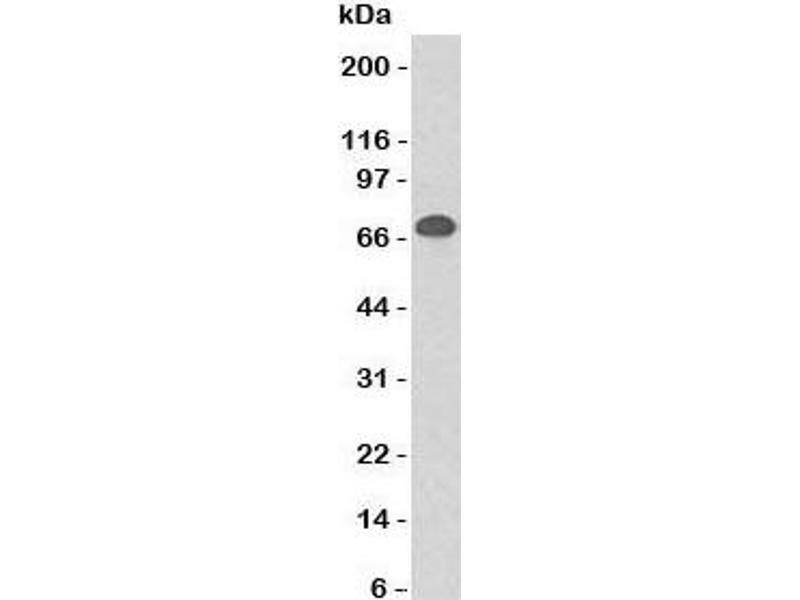 Immunogen Recombinant human full-length protein was used as the immunogen for the CD86 antibody. 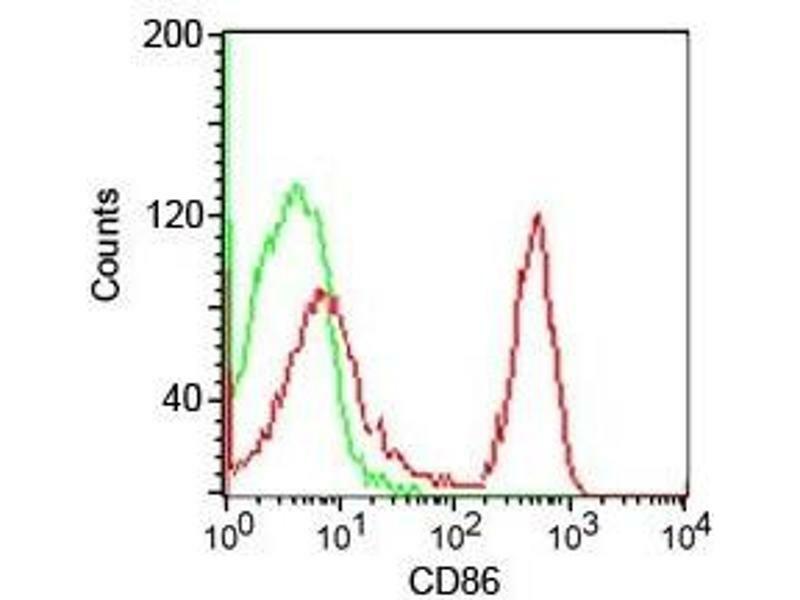 Application Notes Optimal dilution of the CD86 antibody should be determined by the researcher. 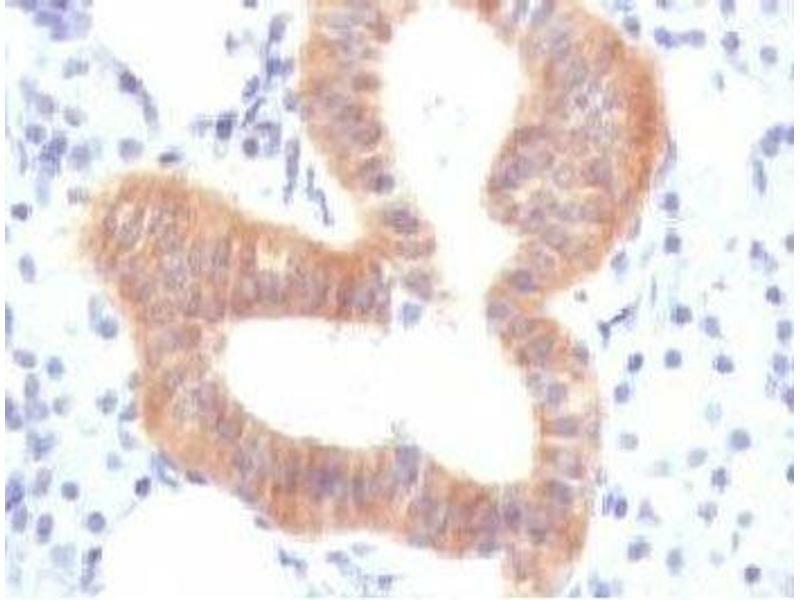 Storage Comment Store the CD86 antibody at 2-8°C (with azide) or aliquot and store at -20°C or colder (without azide).